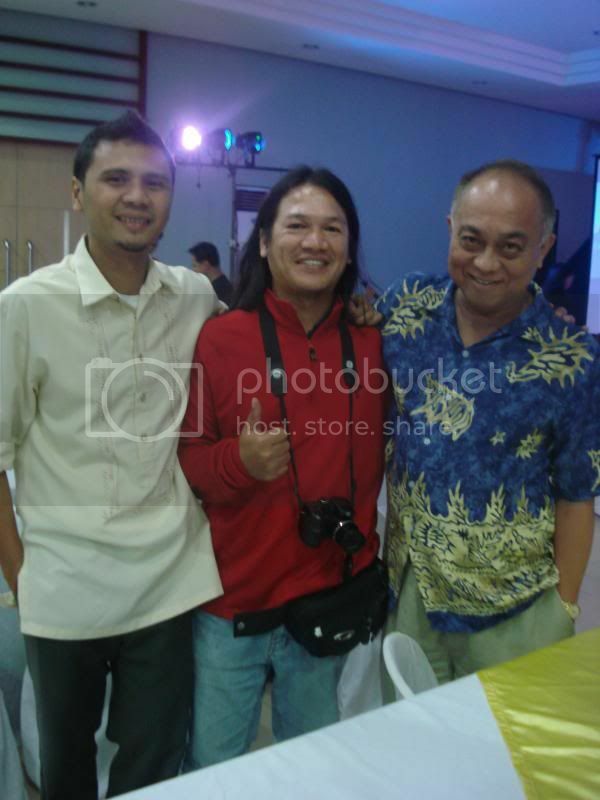 A long long time ago there was a Pinoy Jazz-Fusion band named Time Machine. Emil Mijares (Fender Rhodes)--is now based in the US. I wonder what happened to guitarist Teddy Vano. He played a telecaster plugged into a fuzz tone stompbox. Still vividly remember them when they played at UPLB, especially Teddy. If I'm not mistaken, I think Teddy Vano already passed away years ago? He's played and recorded with Boy Katindig, most probably the guy behind the beautiful solos on "Don't Ask My Neighbors" and "Seeing is Believing". I can't remember though where I've come across that info. I've never heard him play with Time Machine, but I do remember him VERY well from Boy Katindig's Midnight Lady album, which I could say I grew up on. Geez, I was in high school when that came out. I remember Joey Puyat saying that it was actually Teddy who turned him on to Pat Martino way back when he gave Joey a copy of the 'Consciousness' album. Joey also remembers being blown away when he heard Teddy copping Martino's solos note for note during that time. I think Teddy passed away already a long time ago. Joey says he has indeed passed away, possibly five years ago, and that he completely stopped gigging for many years before his death. He won't be forgotten though. He was from Cebu, wasn't he? Although I can't really say Teddy was a Pat clone. I actually got exposed to Pat Martino's music much, much later. Teddy's style sounds more like a cross between Martino and Benson. But going back to the thread starter's query, I'm sure Teddy sizzled just as well in Emil Mijares' band. I'm not sure if he was from Cebu. 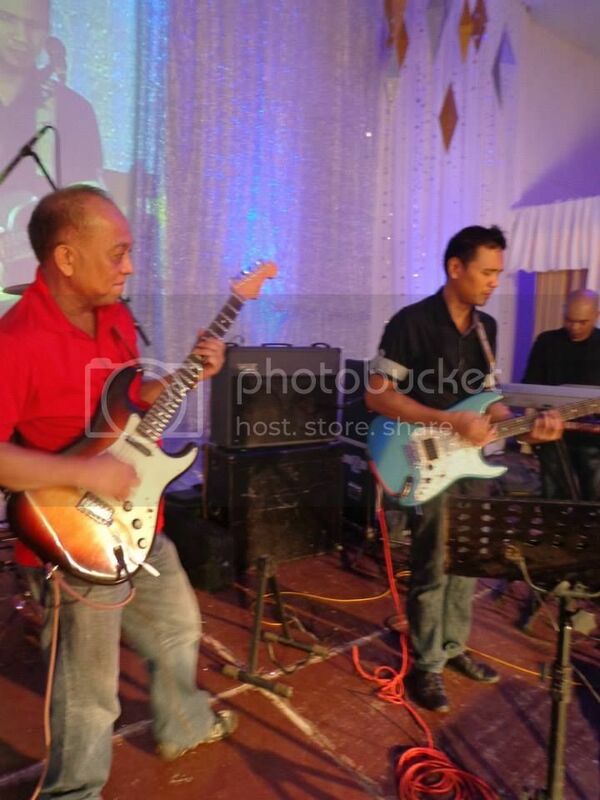 A cebuano guitarist posted somewhere a list of the best Cebuano guitarists and Teddy Vano is in it together with Pablo Virtuoso. When I heard him with E.Mijares' Time Machine they played mostly Chick Corea's 2 albums with Al DiMeola, Stanley Clarke and Lenny White. So Teddy sounded more like DiMeola than P. Martino. I believe The B.Katindig gig came after Time Machine; and probably Vano's Pat-ented phase . Since I was really much into Hendrix then-- to hear Teddy's fuzz-toned bop-lines were new to me and indeed mind-blowing. May Teddy Vano rest in Christ's peace. Gabe and I have been playing together for a while (here in Bacolod) and in fact, we share the same bass player and drummer lately. I play in a trio setting and on alternate Fridays, Gabe also plays with the same guys plus a keyboard player. At times he joins us, at times I join them. This December, we're doing a wedding gig with Ding (Silverio) on vocals. Am looking forward to that. Gabe said he created a PM account just for trade and GAS, but I can't seem to find it. "Dexter" or something yata. The guy is in great shape and still conjures Metheny, Beck and Page effortlessly. Teddy Vano's works on BKs songs are really outstanding. Sadly, I have not chanced to see him live. And I never will. Danny: I haven't heard Teddy playing ala-Al Di Meola, but wow, I'm sure he can hold his own. It'd be great sana to see vids of those gigs from way back. Klause: So, it's you, Nancy Brew! Haha! I knew it! Not many blokes into that kind of music here. Gotcha! Wow, man! It's great that you're playing with Gabe. I heard that the jazz scene in Bacolod is very much alive and kicking. Can't say the same here in Manila, sadly. But going back on topic, anyone with vids of the late great Teddy V? Yeah it's me. I just wanted to change my avatar and I locked myself out of my account ha ha ha. You're right, nakaka miss ang ganitong mga usapan - fusion's heydays, the Rock of Manila, the pioneers of Filipino Jazz and Rock. Anyhows, that clean tone of Teddy's is just so beautiful. I'm listening to Midnight Lady right now. And BK's synth? Whew. Moog? ARP? I never get tired of listening to that tune, even if it's that long. Is it more than 7 mins? Not sure now. But I remember there are several movements there, as far as the guitar solo is concerned. I love how they pick up from each other's solos, and how both of them are very melodic. And yes, BK's tones ... I'm sure he had those stacks of Moogs, ARPs and all those Chick Corea-esque toys in that album. Talk about throwback tuesdays! Haha! I wonder what Teddy used on that album, 'no? Maybe you can ask Gabe. I'll try to ask Joey. Haha! Sorry for hijacking the thread, sir, but I would love to hear more stories about the guitar legend. Tinnie, no problemo. Anyway this thread is a continuum of the legacy of Teddy V.
BTT: @ the Bacolod Jazzfest 2011, Boy Katindig veined towards smooth jazz material and never had a guitar player. Alvin Cornista was with him for solo parts, though. How I wish he had employed one and revisited the classics. klause, nice pix of you and Gabe enjoying life and your music. A few months back film critic Nick Tiongson told me that the 'new' golden age of film-making and jazz is happening in Bacolod. Parang daw '70s all over again. Buhay na buhay and progressive ang Bacolod arts scene. Nice to hear that, and I would have to agree. The hub of the "scene" for music, film and arts is centered on one location which is the Art District. What is good is that though jazz is a big part of it, the appreciation for music as a whole is slowly creeping in. You'll find kids (20s below) digging numbers such as 'Sleepwalk'. In fact, our set list is one freaking carnival: Ponty, Rush, Mike and the Mechanics and Clapton on one night is a blast to do. One night, Gabe'll be throwing in Metheny, Steely Dan, CSNY, Buddy Guy, Huey Lewis and Michael Jackson in one pot - and the folks just give back the love. Reality though is, the TF is minimal - even for free at times . But as of writing, we are trying to find ways and links to get a win-win situation for artists, the place and sponsors. That's a lot of hard work in addition to day jobs (Gabe is still into the sugar business) but its a great thing to 'ride the wave' , too. I hope we can invite you guys sometime. I heard that the jazz scene in Bacolod is very much alive and kicking. Can't say the same here in Manila, sadly. Why is that? All the while I thought its a thriving one - you know, the Clinics, TenO2, Fete de la Musique, Strumms, BKs place, etc.? Teddy used to play a light colored Epiphone that resembled an SG in Emil Mijares Band circa '76. Sadly, Emil also passed on a few years back. TV's axe in the BK sessions was a red SG Standard that went straight into a Fender twin reverb that had a Master Volume (was that phase where Fender decided to build an OD circuit into the amp). Sometimes he used an EH Phase Shifter and/or Flanger, and also an EH LPB-1. LPB-1 was a strange contraption that had a male PL-55 jack on one end and a female socket in the input stage where the guitar was plugged into. 1 knob on the LPB-1 controlled the degree of saturation which was actually quite nice and sounded like a nice tube amp on "11". Teddy also had a stint with an early iteration of the Music Making Company that gigged at the Tap Room of the Manila Hotel ( around '77 or so). It was here that he got into Martino and Breezin' era GB. the guy whom he used to room with named Mon Orosa (RIP) used to share with us the "research" material and daily habits of TV , apparently mostly spent hunched over a record player in Mon's living room, and TV picking off the lines on an unplugged SG! Teddy also got heavily into Larry Carlton and did a great version (note for note) of a minor blues tune that escapes my blurry memory na haha! Great player, humble dude and over all nice and gentle guy! Thanks joey for a detailed rundown of TVs rig. The only time i saw him live was at UPLB. Your band Motherearth (?) i saw play in one of those RJ parkingarea gigs-- on a makeshift stage of 2 6x6 trucks. Les paul guitars, yes! 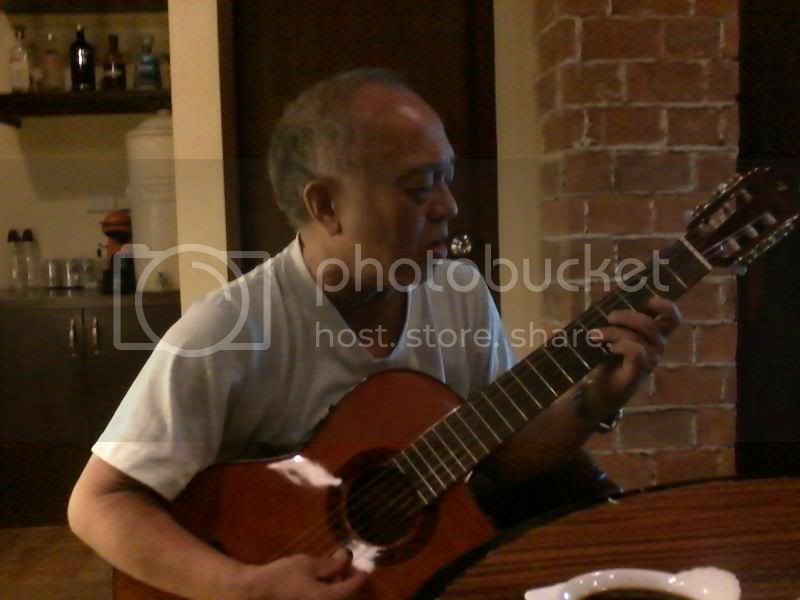 Anyway TV is typical bisayan guitarist-- very into it, for TV virtuoso. I can only imagine this. Sadly, will never get to hear the fuzzed version of TV- unless there would be somebody keeping audio tapes around. LPB-1 was a strange contraption that had a male PL-55 jack on one end and a female socket in the input stage where the guitar was plugged into. 1 knob on the LPB-1 controlled the degree of saturation which was actually quite nice and sounded like a nice tube amp on "11". Could this perhaps be like the ones that are directly plugged into the guitar, like Issei Noro's of vintage Cassiopeia? JRP, you too are one extremely talented and humble person like TV, as you said of him. Is that a common thing for monster players of that era ? Yes i do remember that--nakasabit literally sa mga truck haha. As my buddy would describe gutom na gutom sa music. Probably, kids then can really appreciate great music; and of course the 70s was a special time-- we listened to mahavishnu, chick corea, steely dan to Frank Zappa, grabe. Anyway the John Tropea fuzz tone was my impression when he was time machine. Hybrid picking more akin to nashville pickers--yet TV as you noted a pick and 2 pulling fingers. Probably this technique worked well for TV who played lead and some bossanova stuff with BK. Those are priceless nuggets of Pinoy Jazz history! Coming from the master himself. We should start another thread here about you!